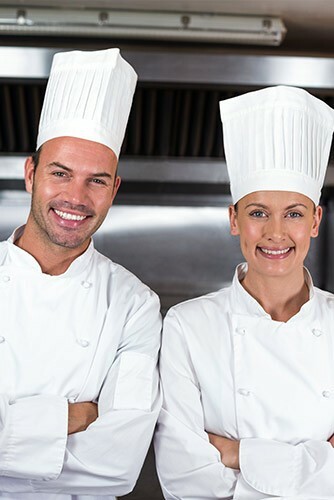 Commercial kitchens depend on fire hood suppression systems that are ready when needed. No one wants a kitchen fire. A hood system can make the difference when things get hot. Get the job done right with a certified hood technician. When it comes to fire safety, commercial kitchens must have a fire suppression system that passes code and works when it’s needed. Regular testing and maintenance keeps your equipment fired up and ready! SSU provides installation, servicing and testing for commercial fire hood suppression systems in New Jersey so that you pass inspection every time and keep your kitchen safe. Our certified techs will maintain your kitchen fire suppression system so it will not fail you in case of emergency. Through scheduled semi-annual testing and servicing, SSU gives you the security of knowing your system is working. Need Fire Extinguishers for your business? SSU also sells and services fire extinguishers for commercial/residential buildings, warehouses, schools, restaurants and construction sites. To schedule an inspection or to get a quote on a new fire suppression system, contact us today!